Keep website safe, fast and healthy today! MAGENTO WEBSITE SUPPORT THAT FITS IN YOUR BUDGET‎. LET US MANAGE YOUR WEBSITE! Improve your ROI with ongoing website support and maintenance. No Hidden Cost! Starting with just 10 hours & $179 per month, Flamboyant services can be extended and moulded as per your requirements. Our proactive observation of your eCommerce website helps us net the issue before it actually damages your business. M-Connect’s Flamboyant Quality Support Package(FQS) comprises of dedicated Magento specialists who take ultra-precautions for the maintenance of your eCommerce store. We keep your business in line and focus on eliminating your site’s downtime completely. 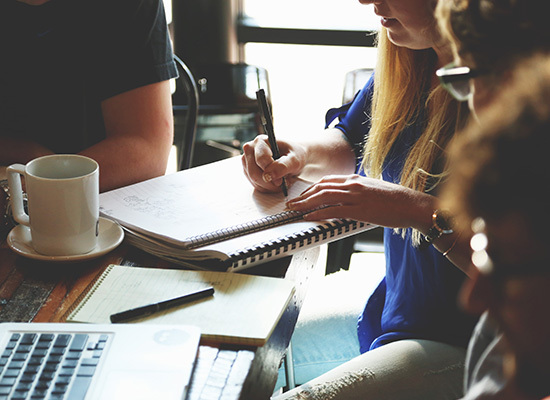 Our team of support services not only fixes the bugs on your site, but decide a course which is also best for the business. 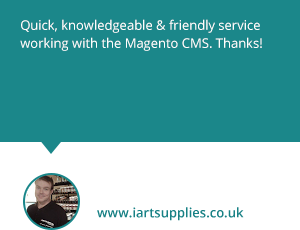 Mconnect Magento Support Package Inclusions - We Cover Everything Required! You are free to acquire Additional Package Hours if your requirements are comprehensive such as feature development, optimization, code review, integration services, and customized modifications. We agree on having distinct requirements which may not fit in the prevailing support packages. If it so with your case and you want a custom-made support package within your budget, then all you have to do is get in touch with us and share the details. All your eCommerce issues will be sorted just about in time. M-Connect has tailored packages keeping every possible Magento predicament that might hinder your eBusiness operations. If we have built your Magento project, then our continuous support will negate the downtime completely. Even if you are here just for maintenance of your site, we’ll rigorously work on it starting from the exploration of your project. Downtime of an eCommerce means incredible losses and that, we don’t want our clients to face. We constantly monitor the sites for glitches and issues to barricade abrupt shut downs of the sites. Being in the industry for more than 8 years now, we have a knack of spotting errors and fixing them instantly. 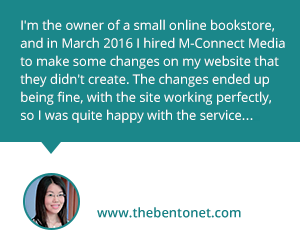 With our support, there will be hardly any instances of instability in your website. Our inherent assistance in Magento extends to providing sufficient knowledge on operating the website. Our Magento 1 and Magento 2 support packages include our DIY guide on how to use the features and extensions correctly. We provide customized solutions for designing, coding and integrating if you are up for making your eStore unique. Re-configuring an eCommerce store is difficult, especially if it has been online for a long time and has plenty data. We provide admin services for data migration to Magento including product entries, customer’s data and much more. Whether you already have a developed extension and just need integration services, or you want us to work on the extension as well, we are ready to do it all. We make sure the extension is integrated perfectly and working as expected with the entire site. Being Magento enthusiasts, it goes without saying that we follow each and every release or update related to Magento. We make sure all our clients have upgraded versions of Magento, their extensions, or any security software. M-Connect’s certified professionals perform an extensive audit on the quality of code and its execution. After apropos analysis, we recommend changes in the code that seems necessary. We give this liberty to our clients whether to choose us to implement the code changes or their in-house team. Nominal charges for our service starts from $250/hour. AGILITY is what customer seeks for. Our PROMPTNESS to serve any MAGENTO SITE EMERGENCY at one click makes us different from our contemporaries. Straighten out all your issues and, get an urgent solution to your personal Magento based site queries without purchasing our support package. Generate an emergency Support ticket, and get pleased by our service in a jitty of a minute. Technicalities have no rulebooks and every project comes with its own challenges. It may happend that you don’t seem to understand the working of our packages, or may get confused as a result of your seemingly unique issue. Well, you can further explore our services and packages through these questions which we usually find our clients to shoot. We are sure you will find your way out on deciding the package after referring these FAQs. How the Maintenance Plans at M-Connect Work? Irrespective of which package you choose, we provide our services on a prepaid hourly basis. You hire us to accomplish a task and we take minimum time for its execution making it just a work for hire scenario. Our support services do not allow us to tamper, adjust, or modify your Magento store under any circumstances. We are simply here to abide by your support needs which we accomplish through thorough site review, error detection, and correction, regular updates of platform version and block the probabilities of code defection by bugs. In case you need extra hours to put into your web store’s maintenance, the inclusion of additional hours is a simple process. However, the contracts at M-Connect have a binding of three months. We provide you the liberty of making the payment where you choose to prepay in advance for the entire package or pay monthly. Clients who prefer to get our services all year round get great financial benefits though. Is it Necessary to extinguish my support hours of the month, or do they roll to next month? Regardless of which package you choose, you are bound to use the allotted support hours within that period of time. We do not extend the use of the left hours after its timeline extinguishes. 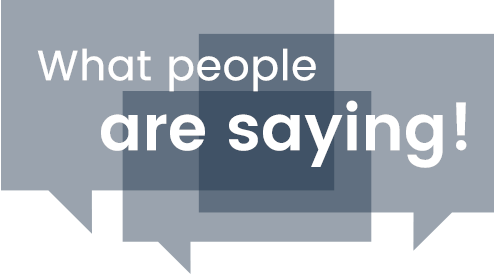 However, in 90% of the cases, our clients are short of hours rather than the other way round. We assure you that our monthly support packages are designed after taking the working of Magento into consideration. Thus, there are hardly such instances where there is a debit of a few hours. Do my Support Hours include Upgrades in Magento Version? Definitely. We work on any and every upgrade that comes our way during your support hours. However, updating Magento versions may need more hours than you anticipate. We readily add extra hours to support packages after seeking our client’s permission. Do I Need to Sign Extensive Contracts? Our contracts follow a different pattern where we offer monthly as well as 12-month binding agreements. In case of changes in packages, our clients are expected to notify us 15 days prior to its extinction or give us 15 days’ notice. We would strongly recommend you to go with our yearly contracts to get amazing benefits. My requirements are a bit different, can you design a custom support package for me? Although eCommerce has a central idea which is to sell objects using the Internet, each eStore has distinct needs. And with anything unique comes the responsibility of maintaining the feasibility of the product along with its quirkiness. We are ever-ready not only to mould our packages according to your requirements, but we also design entirely fresh maintenance plans for any of our interested clients. Everything seems to be in place. How Do I start? Once you decide on which support package do you want to take, contact our representative via phone or e-mail. We will generate a support agreement and will initiate working in your project as soon as you agree on the terms by signing the contract. Paying methods are left upon our clients as to whether they want to pay in advance or would like to go monthly. We work using a ticketing system where the clients generate tickets and we add urgency based requests into our to-do list. 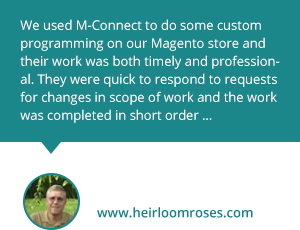 Can I Migrate my project to M-Connect to Avail your Magento Maintenance Services? Absolutely. If your store is made using Magento, we would be more than happy to migrate your store to our company with all the necessary precautions. We begin the process of migration with studying your site thoroughly to understand the processes involved in operating your eCommerce store. Our Magento specialists list out the alteration probabilities and functional enhancement and put them on the discussion table with you. We will recommend you upgrades and improvements for every aspect of the business including server setup and merchandising settings. Your growth is ensured on the very moment when we initiate the process of migrating your eCommerce store. Are there any Conventions to Use my Support Hours? There are as such no rules about how you use your support hours. We can allot your maintenance hours as per your requirements, whether they include getting rid of bugs, make technical enhancements, or to work on extra features. With a detailed experience on handling Magento maintenance processes, we assure you that your time will be consumed ideally. Our inputs will definitely reflect in your site’s performance and conversion rates. Will you See to the Security Requirements Within my Maintenance Hours? It is statutory to add security patches to the eCommerce platform whenever, wherever required. We make sure every security patch introduced by Magento is integrated with your store within your support hours. Can I switch to another package in the middle of the year? Yes, we allow our clients to explore our packages and raise no issues when they say that they want to switch their support package. The only condition that we put in the necessity of giving us a notice period of a month. How do you propose to work? Every project that we take on has a personal project manager who handles all the tasks of your Magento store. 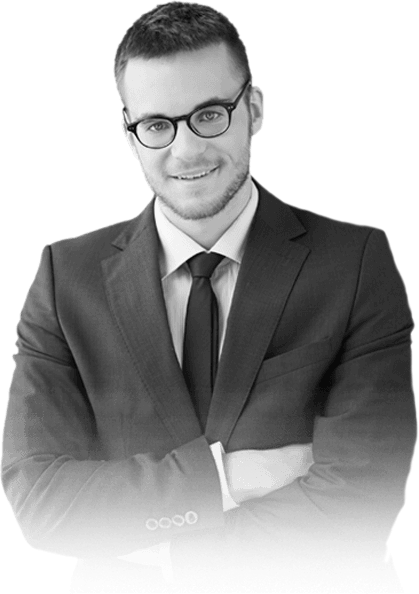 He assigns apt tasks to the our team and provide monthly updates in your support outcomes and its effects on sales. We provide e-mail, skype id, and phone number to all our clients for emergency meetings. With the ever changing technology, Websites often get cumbersome and to eradicate the same, we scrutinize your Site’s health and, make it uncompromisable to the inefficiency. We designate number of hours every month, every week and every day as per your requirements and we make sure that your issues are dealt correctly. We believe in the right technical medication of the Magento eCommerce Websites and this makes our Monthly Magento plan exceptional and put us in the different dimension of space from the market. Our affordable and unprecedented steps to resolve the issues places us in customer’s heart. By opting for our support contract referred as BRAVE, customers reap benefits for their system updation, management, Bug Fix and ceaseless maintenance. Our support and precautionary measures can be accessed by our customers without a glance at clock. You will be invoiced with the mere token of $35/hour. We keep client’s satisfaction on our focal point. All that matters to us is your satisfaction. Thus, we try to deliver our best. We try to reinforce the best relationship with our clients. Anything dealing with Magento can be brought to us and sorted out in shortest possible time. Our numbers speak our quality and expertise. Don’t find an Alignment with our Monthly Support Plans? Not An Issue. Monthly support is just one of the basic support packages that we provide. 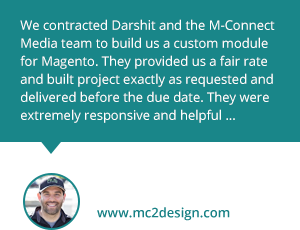 Our flexibility on providing support has made us the riding star of the Magento platform in the market. Check out our other maintenance packages if you are not comfortable with our monthly support packages. Improve your Site Performance and Detect Vulnerabilities by Magento Audit Service. If You’re trying to upgrade Magento, you will absolutely want to audit the codebase to ensure you’re not losing any functionality in the process. We offer three types of Audits which discovers different kind of vulnerabilities. We host your code and ensure that your site is secure. You don’t have to enter into a negotiation which you can’t afford to or are not confirmed of. We offer Pay Per Hour service so that you can harvest the best out of us in obedience to your affordability and complexity of your eCommerce site. This is the most feasible plan for you to settle on. E-mail us your problems and we will respond within 24 hours of the ticket generation. Let’s get going then! M-Connect is already set to take you aboard! Our extensive involvement in Magento has made us adroit in problem solving which we implement aptly in the project that come by our way. Certified Magento developers, timeliness, affordability, and acute professionalism, we have every quality that you need in your support team. Avail our intelligently crafted support and maintenance packages to keep up your store’s performance all year round. Contact us via email or call us to book the discussion hour, right now. OR CALL US TODAY (+1 319 804-8627) AND GIVE SHAPE TO YOUR E-COMMERCE STORE. Rated 4.9/5 based on 3980 eCommerce Projects. © 2019 M-Connect Media. All rights reserved.